This fused glass wall sculpture was inspired by the Monet lilies of the 19th century with a 21st century twist. The sculptural arrangement is constructed using three lily pad sections that circle around a sparkling three-dimensional lily. The arrangement is merely a suggestion as the pieces can be adjusted and re-interpreted as wished. The glass is attached to the wall using stand-offs, which brings the glass slightly away from the wall to add dimension and reflection. This allows the transparency to shine through. 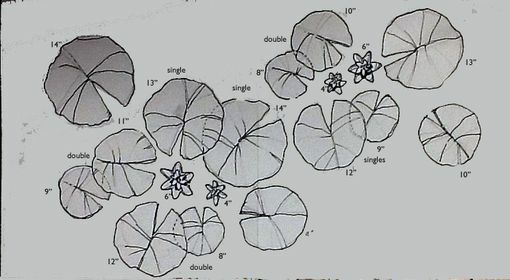 The lily flower extends from the wall and is 7 inches around and 3 inches deep. The lily pads measure 12 inch, 10 inch and 6 inch with each lily pad piece varying slightly in color and details. 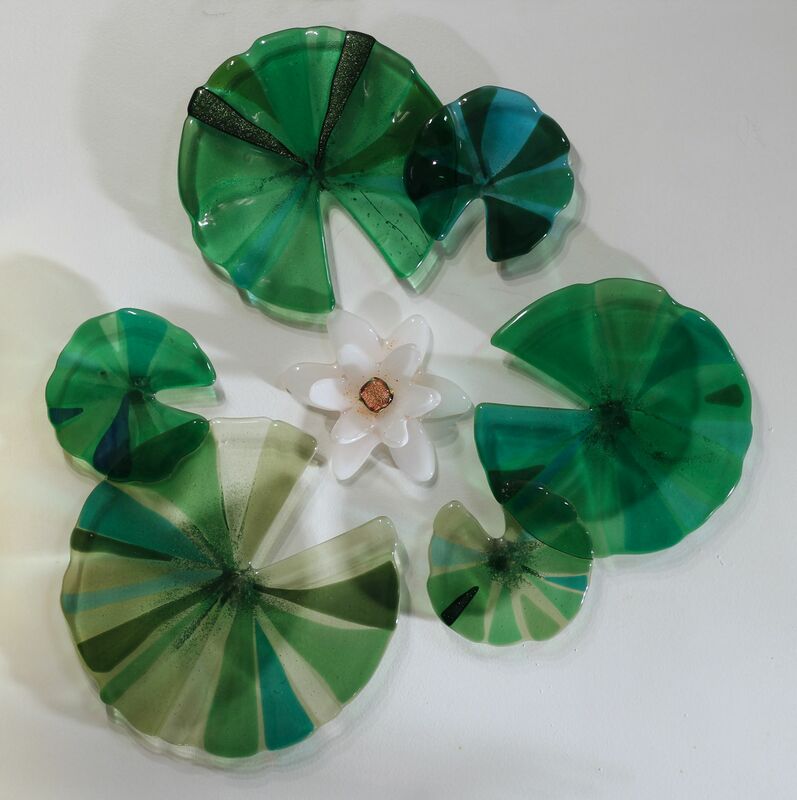 Item can be customized as well where more lily pad and flower components can be added to the glass grouping.